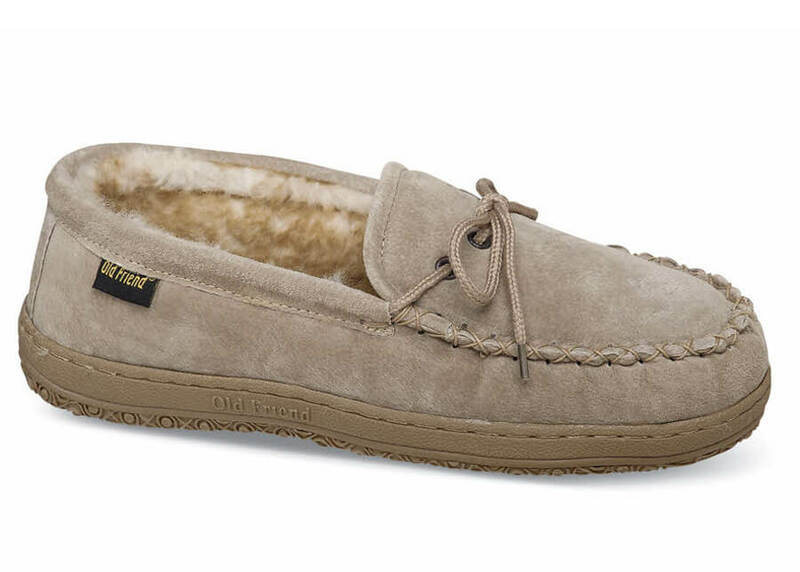 The “Loafer Moc” slipper from Old Friend® Footwear is designed with comfort in mind. It is hand-stitched with a cinch adjustable tie and has plush, dense shearling insole and linings. 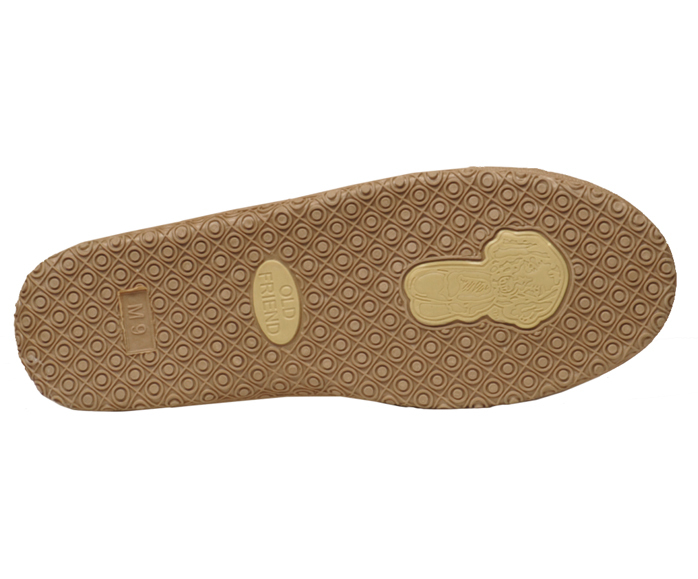 There’s a lot of cushioning in the midsole, and the flexible outsole has a bull’s-eye tread for secure footing. Limited stock in men's whole sizes 8 to 16 in W(3E) and 9 to 14 in XW(5E). Stocked seasonally.